Procuring and implementing the correct HRMS solution for your organization is costly. The total cost of ownership (TCO) of an HRMS solution needs to be justified to the senior management in term of the return on investment (ROI). If the ROI is not high enough, the budget/funding of procuring and implementing the desired HRMS solution will not be approved. Management is not interested in implementing new technologies and practicing new trend just for the sake of technology. Management is interested in solutions including technology based solutions comprising HRMS, when these solutions, (1) Increase the Revenues of the Company, (2) Reduce Company Expenses (Savings), (3) Improve Products and Services Quality, and/or (4) Improve Client Satisfaction. Unlike other systems/solutions such as Sales Management Systems, Customer Relation Management Systems, Manufacturing Systems, Financial Systems, Procurement Systems, and others, HRMS does not directly deal with the company’s customers/clients, products, and services, and finances of the company. What HRMS deals with are processes and policies that deal with employees. Having said that, it is very difficult to quantify the ROI of the cost of procuring and implementing an HRMS solution. In this blog, I shall provide some of the metrics, that can be used to measure the ROI in procuring and delivering an optimal integrated HRMS solution. HRMS software comes in many flavors and many configurations with different functionality and scope. Some providers provide basic HR Systems, such a Personnel Record Management to manage employees personnel data, and they call it HRMS. While others provide a comprehensive integrated HRMS solutions that cover all aspects of HR Management, Talent Management, Performance Management, Time and Attendance Management, Leave Management, Payroll, On-Boarding and Off-Boarding, Disciplinary Actions, Risk Management, and other functionality. The later is the definition of HRMS solution and that is what we are going to use in this blog. We will use an HRMS solution such as Interact HRMS as the basis for the dentition of HRMS. And thus, the ROI of an HRMS Solution. Generally management does not view HR as an important function in the organization. The general view of management is that the HR department is a back office department that handles admin work relating to employees. Management does not see HR as a major player in the strategic planning and operation of the organization that adds value to the organization in term of increasing sales, improving products and services, and reducing operation cost. The reason for this view is that HR Department is not directly involved with sales, customers, products development, and operation. The keywords here are Direct Involvement. Yes, that is correct, but HR is indirectly involved in the management of the employees who are directly involved in these processes that add tangible measurable values to the company/organization. So before we can tackle the ROI of an HRMS solution, we need to change the perception of management of HR. And present the management with the valid argument why HR function is extremely important and critical to the company and its financial and operational wellbeing. And with the same argument present to the management of how HR indirectly contributes to sales, products development, increased performance, and cost reductions. If the argument is presented correctly with supporting data and facts, then management will change its view of HR, and HR will start to play a strategic role in the organization and not a back office role. Once this is done, then the cost of procuring and implementing an HRMS solution will not be an issue for management as they understand the important role HR plays in the success of the Company/Organization. Figure-1 depicts how management views HR as a back office function in comparison to other important functions such as Marketing & Sales, Product Development, Finance, and Customer Support. What we want to do is to change this perception, and present the management with a sound argument to move HR from the back office role to the strategic role as shown in Figure-2. So that HR becomes a critical and important player in the Company strategic planning and operational management. Once that is done, convincing management of the importance of procuring and implementing a comprehensive and integrated HRMS solution becomes an easy task. How does HR impact Sales? How does HR impact Products and Services Development? How does HR impact Customer Satisfaction? How does HR impact the operation of the Company/Organization? How does HR impact Operation Cost? Who performs Sales, Product Development, Customer Relations and Support, Operation, and contributes to the Operation Cost? HR does not directly manage the company’s employees. Company’s employees are directly manager by their direct supervisor/managers. So what HR has to do with employee management from a functional/operation point of view? Example, an engineer working in R&D is managed by his/her direct supervisor who works in R&D, not HR. Now, if any of the above HR functions are not properly conducted or not conducted at all, the result is an indirect impact on the strategic functions of the organization. Using the above HR functions, we can build an HR Strategic Impact Matrix that depicts how HR Functions impact all strategic functions of the organization. 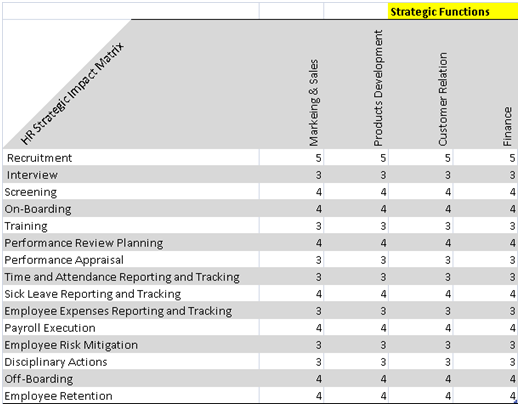 Figure-3 shows an example of an HR Strategic Impact Matrix. The matrix lists the HR functions horizontally, and the strategic functions of the company vertically, and then you use a rate of impact, for example 1 to 5, the highest is the rate, the more impact the HR function will have, if not conducted properly. Of course the impact rating needs to be supported by other facts/tools as management will question the impact rating. So, the support of the impact rating are a set of Cause & Effect Matrices. I suggest that you will use Six-Sigma Cause & Effect Matrix for each HR Process/Function such as Recruitment, Screening, On-Boarding, Training, etc. There are a number of Six-Sigma Cause & Effect Matrix samples on the Net that you can use to build your Cause & Affect Matrices, one for each HR Process/Functions. Once you have done that, then you have your support material/data for the HR Strategic Impact Matrix and rating that you have used. With the Six Sigma Cause & Effect Matrices and HR Strategic Impact Matrix, now you are ready to build and present your argument to the management to change the HR function from a back office role to a strategic role. To obtain approval and funding for the procurement and implementation of an Integrated HRMS like Interact HRMS becomes easy, once the HR department become a strategic player in the organization instead of playing a back office role. To convince management of the importance of an HRMS, you use the same argument and support material that you have used to transform the role of HR from a back office role to a strategic role. Thus HRMS becomes one of the backbone mission critical systems for the organization/company. We at 2Interact, have assisted a number of HR departments in various organizations/companies to transform the role they play in the organization. Taking the HR from a back office role to a strategic role. We can give you the tools to be able to achieve this transformation. And to procure and implement the optimal HRMS solution. © 2016 2Interact Inc., USA. All rights reserved. Copyright/Trademarks.